Track 5: taken from Shulman - In Search Of A Meaningful Moment. Copyright Aleph Zero Records. Copyright Control. Track 6: published by Native Tongue Publishing Ltd.
Production and management by Aleph Zero Records. Whooah what an album! can't get enough of it. Evan's skills at his best! I wish more of this style from him. Any intelegent electronic music listener should like and buy this album. With the existing new world order oozing with chaos and panic Evan Bluetech’s music comes as a ray of divine light and hope for all the lost souls who seek solitude within the realms of music. Evan is no newcomer in the chill out scene with 2 albums “Prima Materia” and “Elementary Particles” released on the most respected Israeli electronic label “Aleph-Zero” run by Yaniv Shulman and Shahar, along with various tracks released on over 10 record labels worldwide. Evan also runs “Native State Records” which recently released their first compilation “Left Coast Liquid Vol. 1” compiled by the master himself, packed with eclectic creations by top notch producers providing a wide spectrum of sounds that have been appreciated all around the globe. Evan has definitely redefined global production standards with his earlier works and the new album “Sines And Singularities” proves no less with crystal clear production mastered by none other then Yaniv Shulman. Sines And Singularities can be described as a beautiful piece of sophisticated and exquisite down tempo music crafted towards perfection. The music is deep and colourful, always exploring new dimensions, with no dull moments. This is not just another lounge music disc, Evan’s music needs constant attention for one to understand the complexity of forever evolving textures and emotions that are reflected within the realms of his distinct style. The disc begins with “Enter The Lovely” a proggy n groovy one that uplifts ones senses in the most subtle way. The next few tracks like “Leaving Winter Behind” and “Forgiveness” reflect upon the very fact that music is a mirror to ones heart when created honestly. Plunging deeper we stumble upon Evan’s interpretations of Shulman’s “First Came The Stars” and Pitch Black’s “Ape To Angel”, remixing artists like Shulman and Pitch Black who have set some of the highest standards within the industry can be one mammoth task, but Evan adds his bits to the music in the most ecstatic and elegant way, maintaining the originality while giving the listeners something new and refreshing. Aleph Zero Records based in Israel has for sure put themself on the map among the highest quality chill labels lately, with releases such as the second Shulman album, double Bluetech album and the Natural Born Chillers compilation. Now, they are out with a new album by Bluetech (Evan Marc) from the US, who got great feedback after releasing a quite psychedelic double chill album on Aleph Zero in 2004. He has also released music on the respected Waveform label. Bluetech sure has his own unique way of making psychedelic chill out music. All his tracks has their own Bluetech trademark, with twisted melodies and sounds. He mixes tons of quite flat, weird sounds with atmospheric, floating soundscapes, echoes and vibes. A combination he does in a way that all the weirdness cooks into beautiful, relaxing pieces of music. Like on his first albums, this is what he does here too. You rarely find so much uniqueness in chill tracks these days as you find in these tracks, which is a high quality mark for an artist. If you enjoyed his first albums, you will for sure like this one too. Not much change in style from his previous releases, but he keeps a high quality line all the way through. One of my favourite tracks here is the Leaving Winter Behind track, which you can also find on the Left Coast Liquid compilation released on his own label Native State Records earlier this year. Quite emotional track, with melancholic vibes, totally relaxed all the way through. We get dubby beats and atmospheric vibes in most of these tracks. He also delivers a couple of interesting remixes in this album. One of them originally made by Shulman, released on the first Shulman album Soundscapes And Modern Tales. Here, Bluetech adds his unique style, and change the track into something quite different and interesting. Remixes are nice when it is done like this. He has also remixed a track by Pitch Black, which is a duo from New Zealand,quite famous for their dub albums, such as the Ape To Angel album released this year. Another interesting remix, pretty different from the original. Bluetech puts a lot of creativity in all these tracks, coming up with his own new ideas in most of them, which is something you rarely find in todays ambient/chill productions. 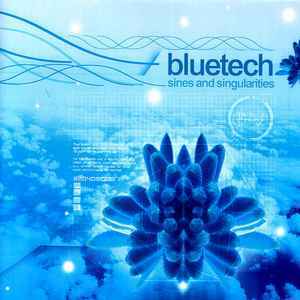 This third full length album by Bluetech is for sure one of the best chill albums I have heard in 2005. He follows the style he had in his previous albums, which is a good thing. Even though some could be hoping for a little bit more new ideas compared to his previous albums, Bluetech still has his own way of producing his own unique style and high quality, combining IDM, psychedelic and atmospheric vibes. Recommended! The artwork is top drawer as always with AlephZero – and the mastering by Shulman sounds absolutely top notch to me too… The whole package! Anyway, a very mature album by Bluetech here – that’s guaranteed to suit the taste of a wide array of people within ambient/downtempo circles… Enjoy! With cosy beats, lovely melodies, intelligent elements and beautiful atmospheres this album has a capacity of produce different feelings within the listener, depending on what the listener wishes for. If you wish to enjoy intelligent IDM/dub and that is what you're looking for you have hit the spot, and if you wish and look for an album who's suitable for exam studies (tested and approved!) or other activites where the album's just going to spin in the background this CD is going to be well suitable for the purpose. This album is difficult to compare with the previous two, who are in my humble opinion a bit more like each other than this one are to them. One thing is clear though, and that is that this album quickly grew to become my favorite album from Bluetech. Favorites: 3(!! ), 7, 9(!) and 11.